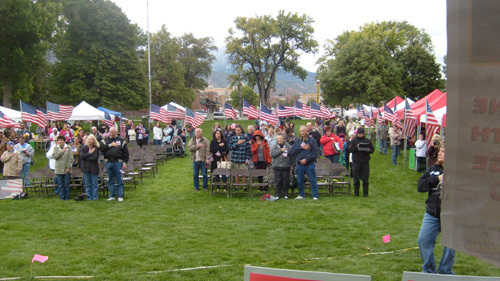 As Grandpa of a soldier gave the opening prayer and a sister and her friends sung the National Anthem, all of us shared this special moment with awe of all those 150 flags around the park. 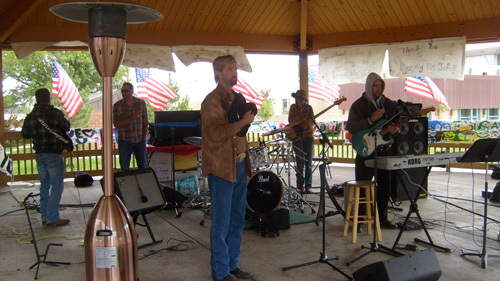 Roger and the Muddy Boots Band were perfect and Roger heard THank Yous on his FB from Iraq soldiers thanking him. 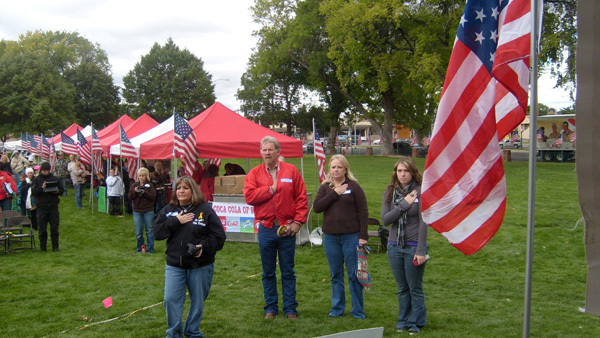 All volunteered in town that morning to make this the most patriotic scene. Everyone packaged the NEWAYS sunscreen, NAture's Sunshine Silver Shields, Tahitian Noni Lotion and Aftershave and Young Living Red Juice into 500 Gallon sized Zip Lock Baggies ready to put in bottom of boxes all set up for the families and volunteers to make the care packages. Everyone got into the effort. Sally from AFStores Corp office and her dear husband froze with we feet since 6am and worked so hard to make sure all was done. 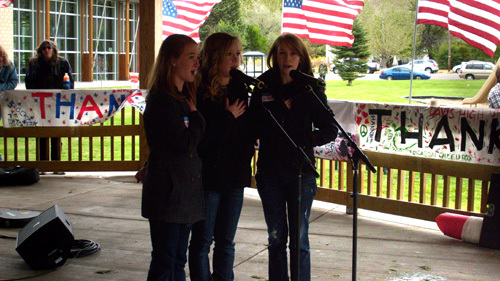 One of soldiers' girlfriends and her friends sang the anthem after driving down from Parowan. Donna from the Happy Factory brought 400 hand made cards for the kids of the soldiers, and the FRGs were giving 1000 Tahitian Noni School Binders, 500 Build A Bear coloring Books, and 100 toys from The Corner STation of Fairview brought by Katie who manned the food tables all day of food from Cravings, Rusty's Ranchhouse, Costa Vida, Dominoes, The Pastry Pub, Chili's, Little Ceasars, Pizza Hut, Freestyle Pizza, 5 Buck Pizza, Cotton Candy from FunTimeInflatables, and LIN's kids games. managing filling the beautiful handmade stockings with 500 Payson Fruit Growers Dried Cherries with special label: , Phillips 500 bags of Handcrafted Chocolates, 500 Cell Phones for Soldiers 100 minute calling cards, 500 large homemade Santaquin ladies' Rice Krispie Treats, Brownies and other great treats, Colonial Flags, and hand warmers donated by Wilma in St. George along with her beautiful hand made stockings. 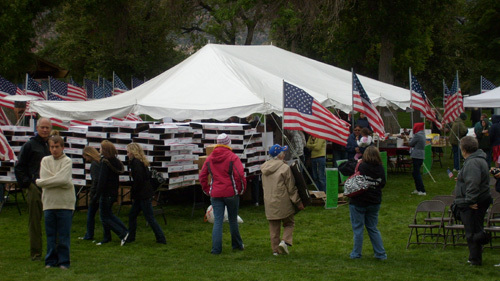 CEDAR CITY - The rain and cold Saturday did not dampen the spirits of more than 150 volunteers who gathered at Main Street Park to prepare 500 Christmas packages for members of the Utah National Guard 222nd Field Artillery Unit and the 213th Forward Support Company stationed in Iraq. 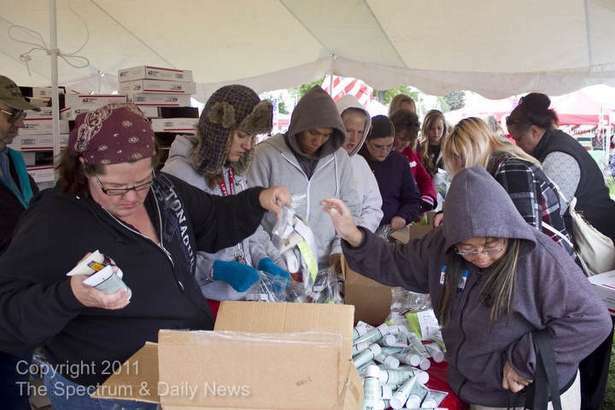 Volunteers from Southern Utah University, and even outside the state, huddled under canopies filling plastic bags with items such as shampoo, candy, dried fruit and health drinks like Tahitian Noni. Santa Claus was on hand to help soldiers' families wish their loved ones overseas a Merry Christmas, and notes were also written to be stuffed in the soldiers' packages that included handmade Christmas stockings. Michelle Challman, who drove from Antelope Valley, Calif., was busy filling bags with hygiene items. 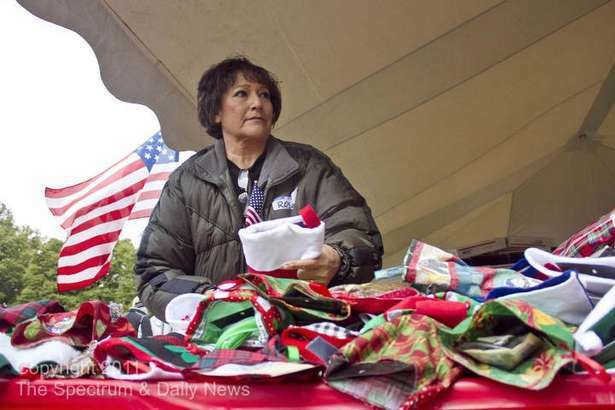 She traveled the lengthy distance to participate in the 5th Annual Operation Ensuring Christmas Packaging Day because her 19-year-old nephew, Anthony Ibarra, is deployed with the 222nd, she said. Her sister-in-law, Alicia Ibarra, Anthony's mother, and her in-laws told her about the event and she wanted to join the effort. Alicia Ibarra said she lives in Parowan and meets with other families of deployed soldiers monthly. Many women are having a difficult time caring for their children alone without their husbands at home, she said. She expressed her strong desire for her son, along with all the other men and women serving with him, to come home safely "and soon." Amanda Lanier was at the park lending a helping hand and said she appreciated everyone's help with supporting the troops, especially considering that her husband, Jared Lanier, is serving with the 213th. 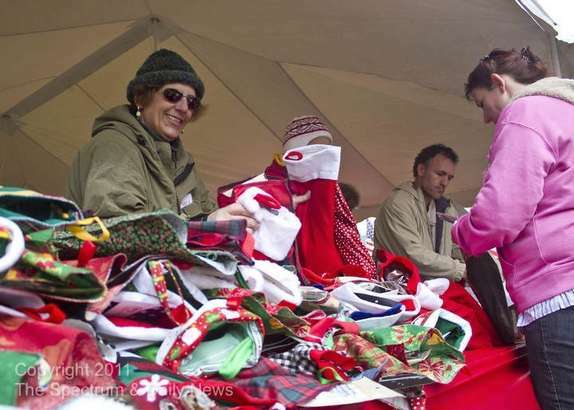 "It's nice that everyone came out to do something for the soldiers," she said. Disabled veteran Kenneth Duke drove from Mesquite to participate in the packaging festivities. He served with the Air Force in Vietnam in 1967-1968, and said he suffers from exposure during his service to the toxin Agent Orange. 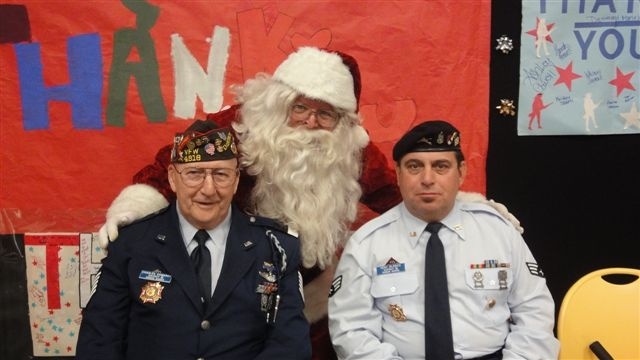 His involvement in the Christmas effort for the soldiers in the Middle East was his way of "giving back," he said. 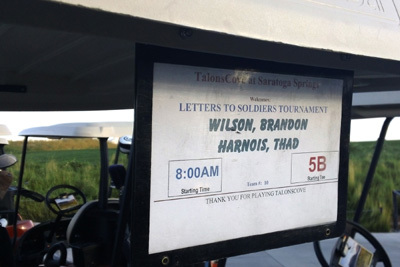 He remembered receiving care packages when he was deployed to a foreign country, although those efforts were not as big as Saturday's event, he added. 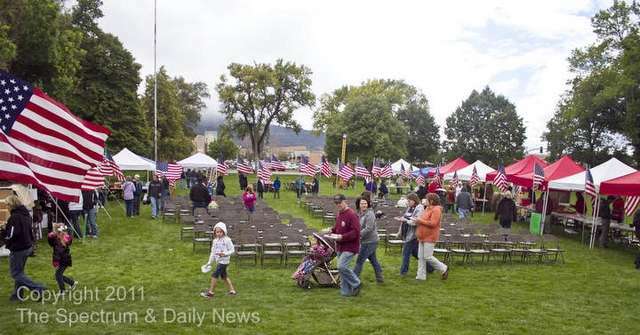 Cedar City Mayor Joe Burgess spoke briefly during a patriotic ceremony in the afternoon. He said "Our troops that have been deployed have had tens of thousands of prayers offered on their behalf." 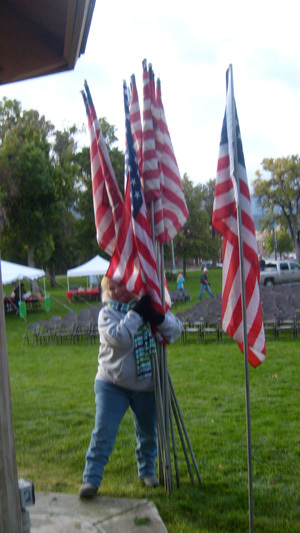 Offering her own prayers with service and founding of the nonprofit Letters to Soldiers, Denise Devynck, who organized the packaging effort, thanked the volunteers and numerous donors for their generosity and patriotism that made the event possible. "You are true Americans," she said.
" You are such an amazing person. ...Glad We met and thanks for all you do. I already have Facebook Messages from Iraq thanking us...."
"Thank you for all that you do. 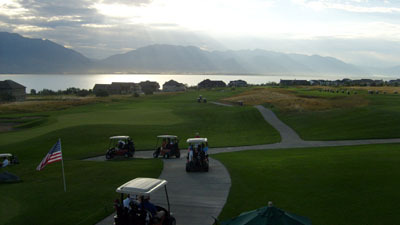 I hope you have had time to recover from a fabulous weekend in Cedar!! You did a marvelous job and although at times things seemed out of control.... it all came together and soon there will be 500 excited soldiers opening boxes from home!! I have a cooler full of lotion and a cooler full of cleaning wipes I need to get back to you, as well as your chairs. We just need to find a time to meet up. Let me know what your schedule is and I will get these left over items to you!!! 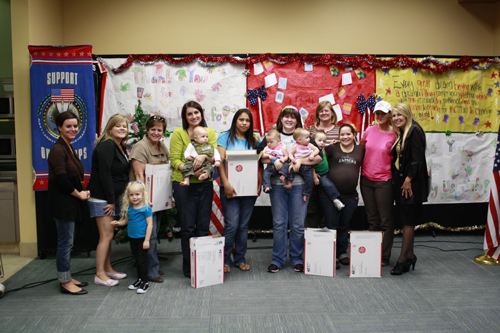 Thanks for the opportunity to help serve Letters to Soldiers and the families of triple deuce and 213! It was an honor!" I am in total "shock & awe" over what I have seen over the past few weeks! The packaging party was amazing and I am so sorry for what you had to go through to make it happen - including having to deal with the moved up timing, the weather, volunteer shortage and more. I hope you will be able to recover soon. I can tell you give your all to this cause and it is very much appreciated. I was so glad to come and see everything come together. I would like to help as much as I can. It helps that I now have a better idea of what is entailed in the whole process of what you do and have seen it first hand. I will work to make the Facebook page better and to get more people on it. 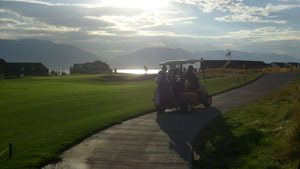 If you would like I could work on the website too, if it is a program or process I know how to work. 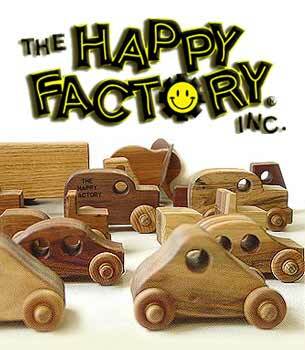 with more time I think I can get some products for future efforts from some of my wholesale suppliers. Again, I know you are probably still knee deep in packages but I hope you'll be able to rest and recuperate soon. 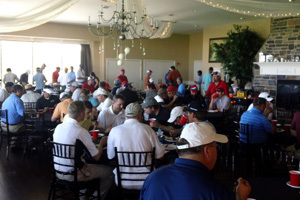 I heard the event on Saturday was a great success! We were wondering who you contacted to get in touch with the families of the soldiers. We want to be able to help them with yard or home clean-up and do a little kids carnival on the 22nd but were only able to talk to a couple of interested people. If we could get the contact person for thesoldiers' familiesthat you worked with, that would be fantastic! 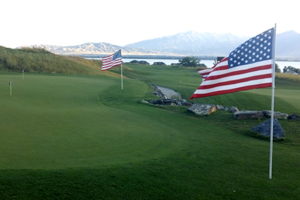 Thanks for your service to all the men and women serving in the armed forces. I was pleased to be a part of such an endevor. Can you please email me your mailing address so I can send you some of the DVD's of the event. I will also be sending the RAW video on DVD's. 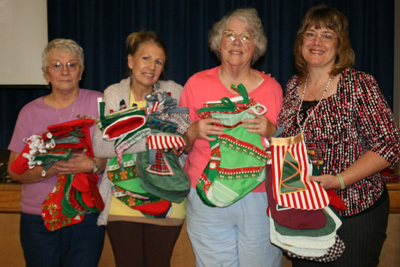 A very special Thank You goes to Shirleen Bess, Former DAV State Auxilliary Commander and her wonderful Seniors for making over 1,500 Beautiful Handmade Christmas Stockings for the deployed Utah Soldiers. 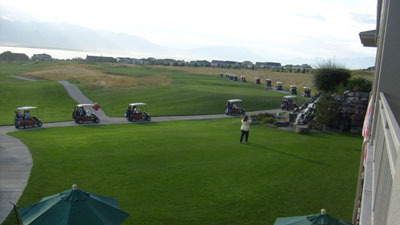 "Hi Denise, I hope you have rested up a bit from our wonderful but cold day in Cedar City! Perhaps the Mayor will remember what a great program this is and help us find a place INSIDE next time.Did the dvd's get done in time for the Post Office, the postman was sure getting nervous. 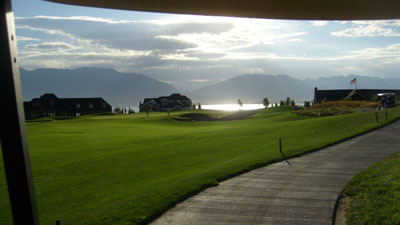 At the break of dusk, Talon's Cove Golf Course in Saratoga Springs became the most beautiful site. 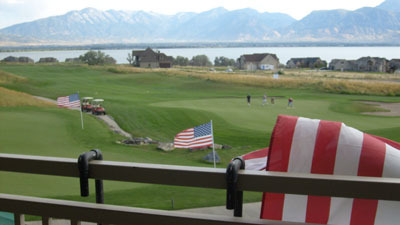 Not just because they overlook Utah Lake and Mount Timpanogos, but because 144 Construction Workers headed out on 72 Golf Carts to raise over $10,000 for deployed Utah Soldiers' and their families. 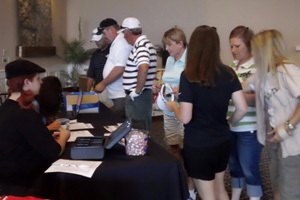 Prizes were awarded to the teams of golfers but the military families will be the real winners this year thanks to these generous people. 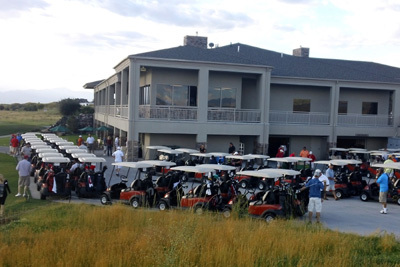 Thank you wonderful construction company employees for a very successful tournament. Thank you Angie for putting this together. What a great morning. Let's do it again next year! 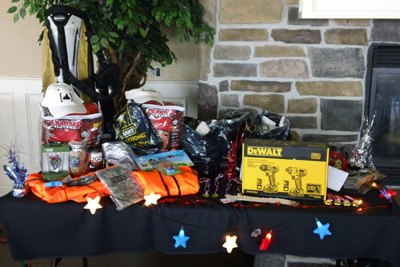 Watch for the Bowling Tournament and Silent Auction in NOvermber and December. 500 plus employees of IMFLASH volunteered to help make the care packages for 1,600 deployed service members of 10 units/brigades/battallians. 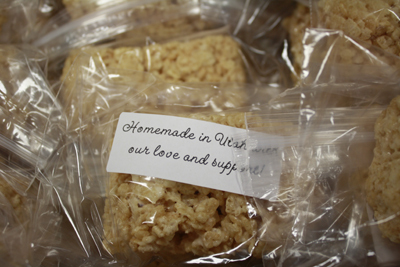 Wives of soldiers with their special packages and gifts Treats: 1,600 Rice Krispie Treats made by Ann JEnsen and her wards in Santaquin, and 1,600 Dried Cherries with special labels donated by Payson Fruit Growers which earned the most special product donated that year plaque. We wanted the wives and kidsof UTNG 118th and 141st to make extra special care packages, banners, Santa's Photos, Video Christmas Wishes duplicated on DVD into each care package and we gave them free gift certificates donated by Applebees, Cheesecake Factorym Harmon's, Sunflower MArket, Cafe Rios, Costa Vida, and others. More than 500 people took time off from their regular weekend pursuits Friday evening to assemble packages for those in the military. 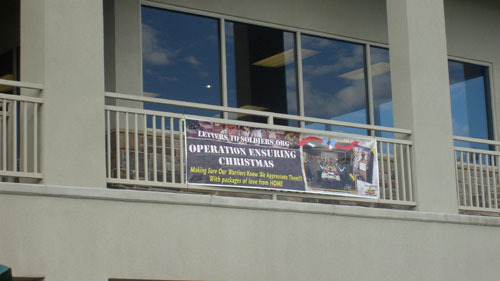 It was part of Operation Ensuring Christmas, the fourth annual such event to provide a touch of home at the holidays for those serving abroad. 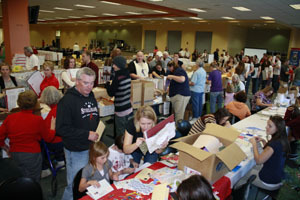 Volunteers packed boxes with books, magazines, puzzles, personal care items, snacks, Christmas stockings and more -- most importantly, with love -- as they prepared to send them to military members for Christmas. 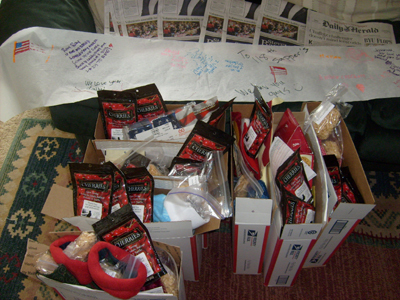 The goal was to send 1,600 boxes, but that may not be possible, since donations for shipping were not reached. 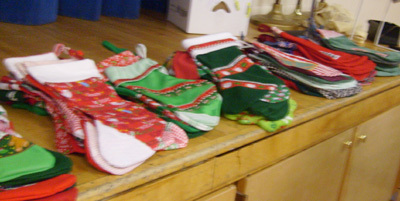 There is a week remaining to collect the funds to ship the boxes; otherwise some Marines may have to share a box with four stockings in it. 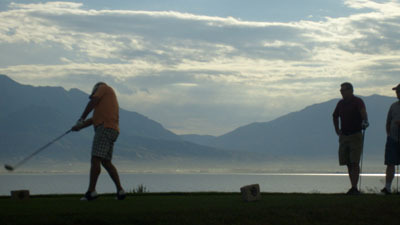 Anyone who wishes to contribute may go to www.letterstosoldiers.org and click on "Donate." Commander Charles Edwards of Post 4918 of the Veterans of Foreign Wars attended the event in full uniform. He presented a check for $250 to help with the shipping costs. During the year, the VFW takes contributions and collects funds from activities including their sale of Buddy Poppies to help veterans and their families and to help current military personnel with support activities. Edwards said he wished they had more to contribute, but Denise De Vynck, an organizer of the event, said it was welcome. 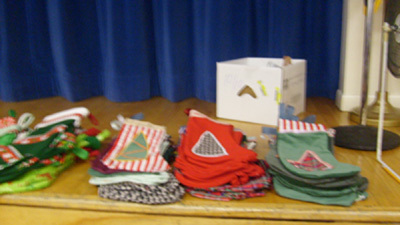 "This is the third year in a row they have contributed," she said. 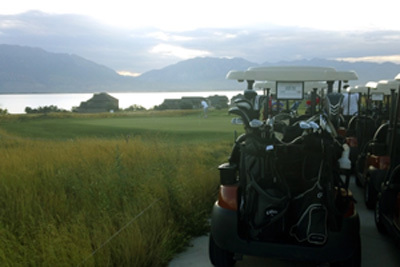 "It makes it a total of $950 from our veterans here in American Fork." Edwards and Kent Blanco, commander of the American Legion post, were among the first to wish the men and women Christmas greetings on a DVD produced by students at UVU and recorded at the Friday event. Military families and others also put in appearances on the production, which will be included in the shipment. Even Santa was on hand to have photos taken with children of the military families, which will also be included in the boxes. 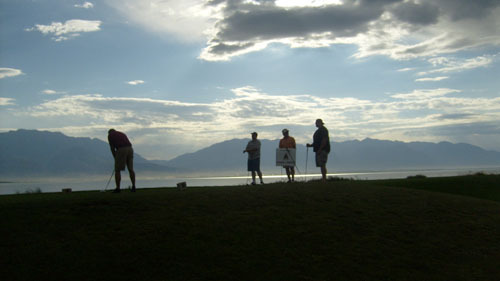 The volunteers filling the boxes had entertainment while they were working, and food was provided by companies including Chick-fil-A, Mimi's Cafe and BYU Creamery. The Chick-fil-A cow greeted youngsters as they were working. 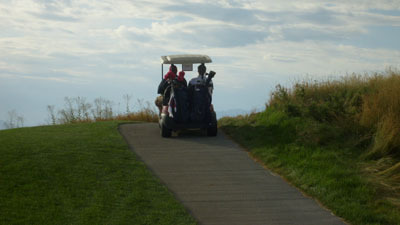 One of those volunteers was Darryl Weddington, who explained why he chose to participate. "I volunteered because of the great sacrifices that the men and women of the military are providing," he said. 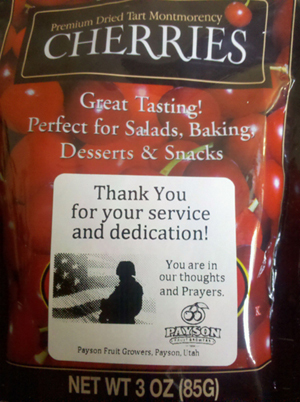 "I know their sacrifice, being away from home and their families, and it is greatly appreciated. I wish them safe passage during their tour of duty and God bless. Again, I appreciate the sacrifices." 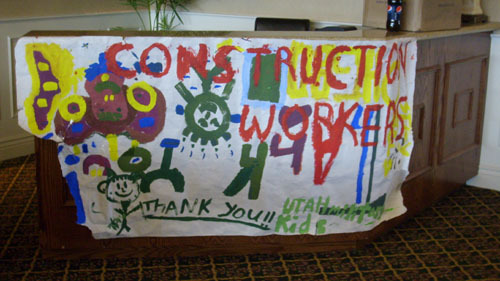 Posters made by school children lined the edges of the cafeteria of IM Flash Technologies, where the event was held. They included handprints of the students, some signatures and greetings such as "Merry Christmas from the mountains of Utah," "Thank you for keeping us safe," "Thanks for serving our country" and "May God bless you." 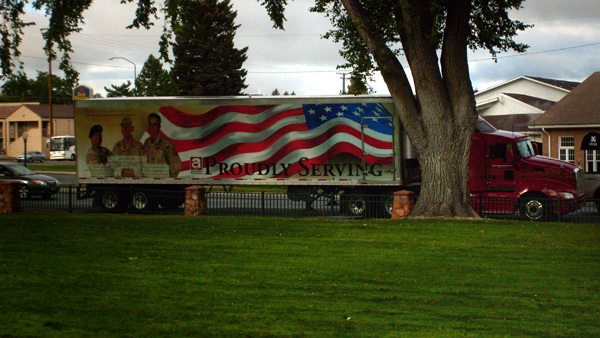 Edwards said the VFW was involved as part of its efforts to help the military personnel. 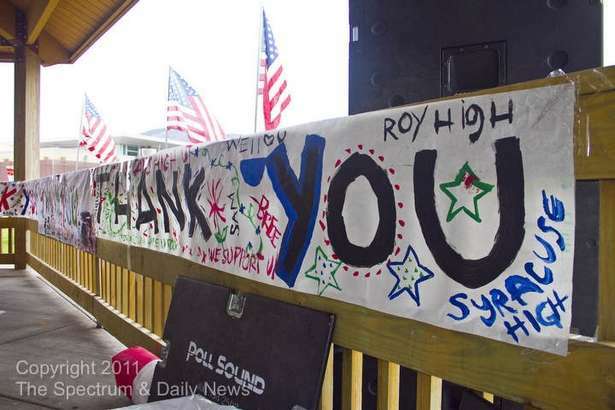 "The VFW post does everything we can to help the troops in any way we can," he said. "We donated money that is collected from the sale of poppies. We have given about $5,000 to the members and their families. Some of the troops are still involved." He said when they return, he would like to have them join VFW to help others and themselves. "We need to get all the troops coming back from the war as members of the VFW," he said. "We can help them with benefits and lots of other things." De Vynck said the boxes are important to the military members, and they provide more than just the contents. 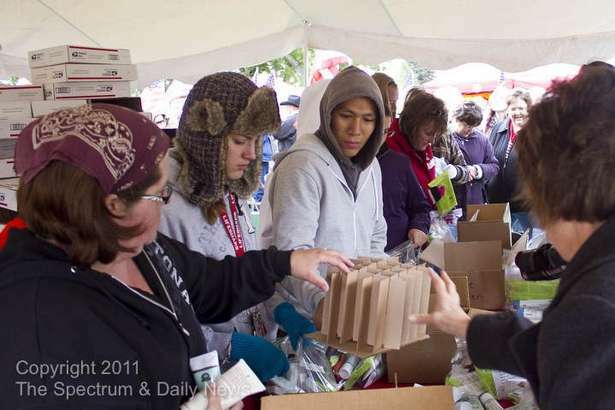 "It is not just about filling a bunch of boxes," she told the volunteers. "Hundreds of people worked so hard all year to make these items." She gave instructions how to insert the items in the boxes, then added a thought. "Take them and make sure that box is really, really special," she said. "Actually address a card. Write down who made this box. 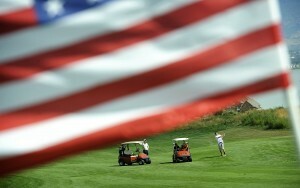 What happens here sends the wishes to the troops." She told those assembled what it would be like for the military personnel. "If you can imagine being alone, being shot at, away from everybody at home, and you don't get anything to open on Christmas day," she said. "That is why we do this. Make sure they don't go without something from home."